Over the years, we accumulate toxins in the organs of metabolism, derived from ingested foods, water and the environment. The accumulation of toxins in these organs, alter the body's normal metabolic process, difficulting the weight control. Extract of Artichoke, artichoke contains compounds that contribute to weight control and help the body to remove unwanted residues (detoxifying properties). 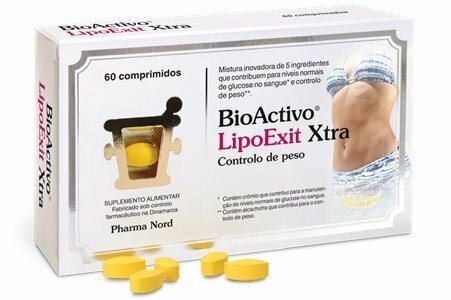 Bioactive LipoExit Xtra is a supplement that combines 5 key ingredients in one tablet, which supports the weight control and body detoxification, being the key to a healthy weight reduction. 2 tablets during lunch and 2 tablets at dinner, with a glass of water.